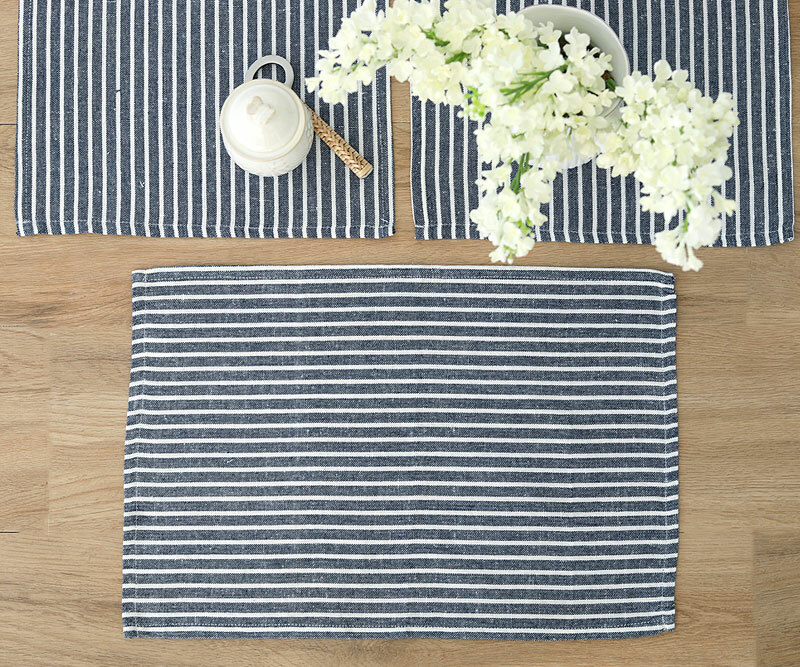 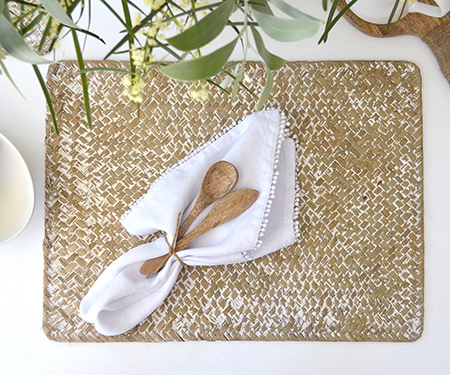 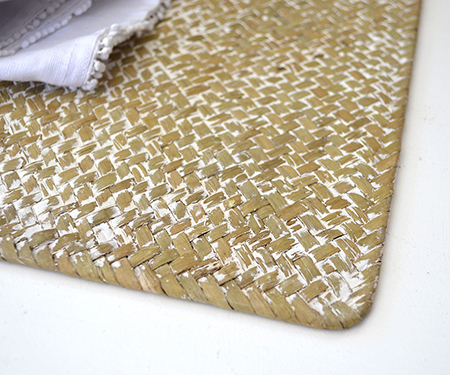 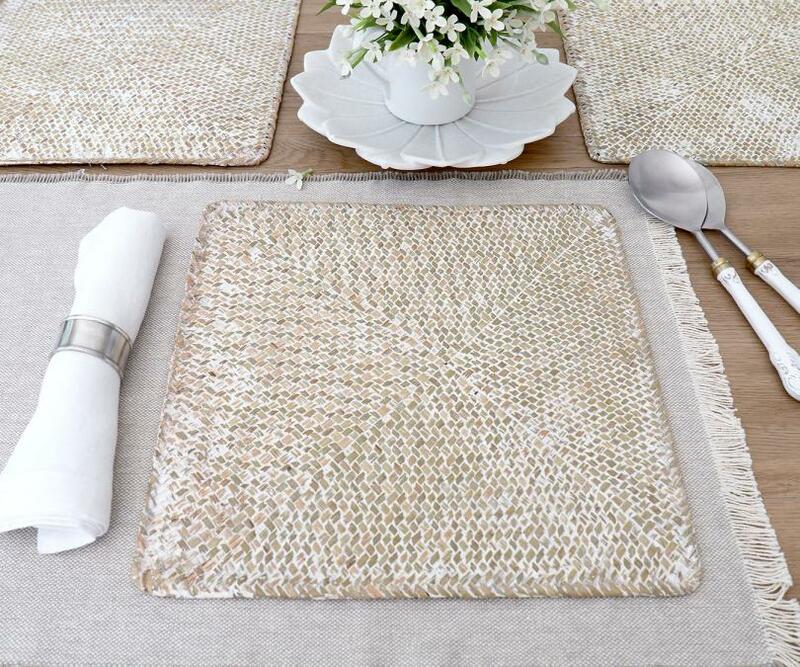 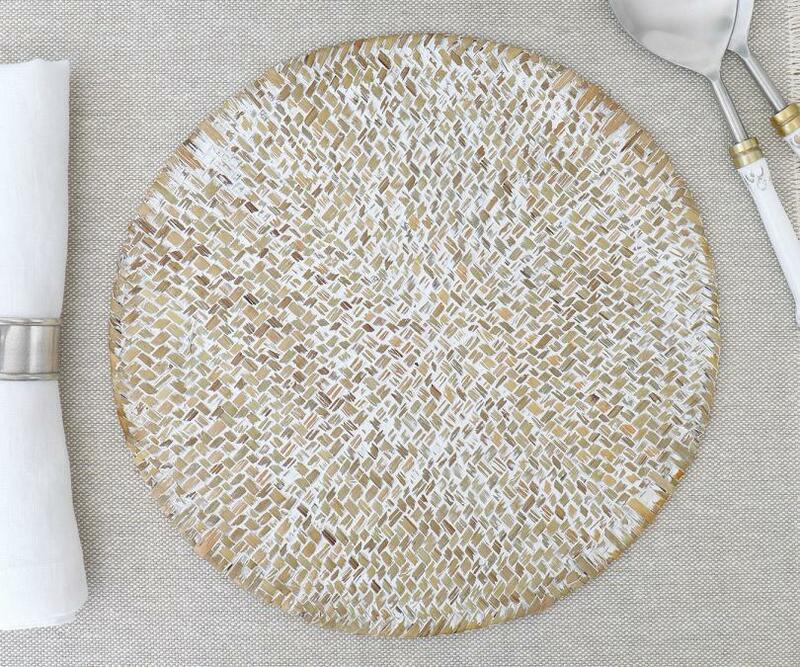 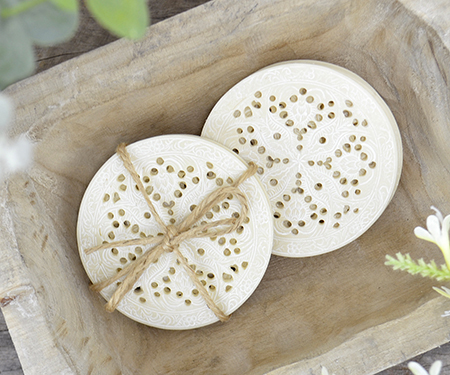 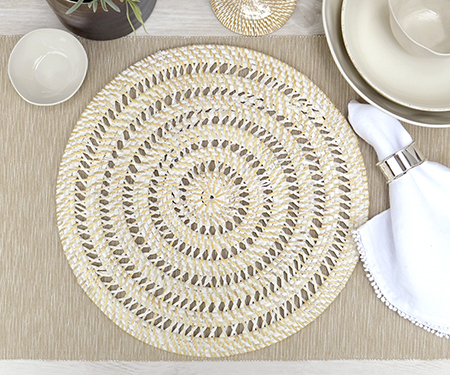 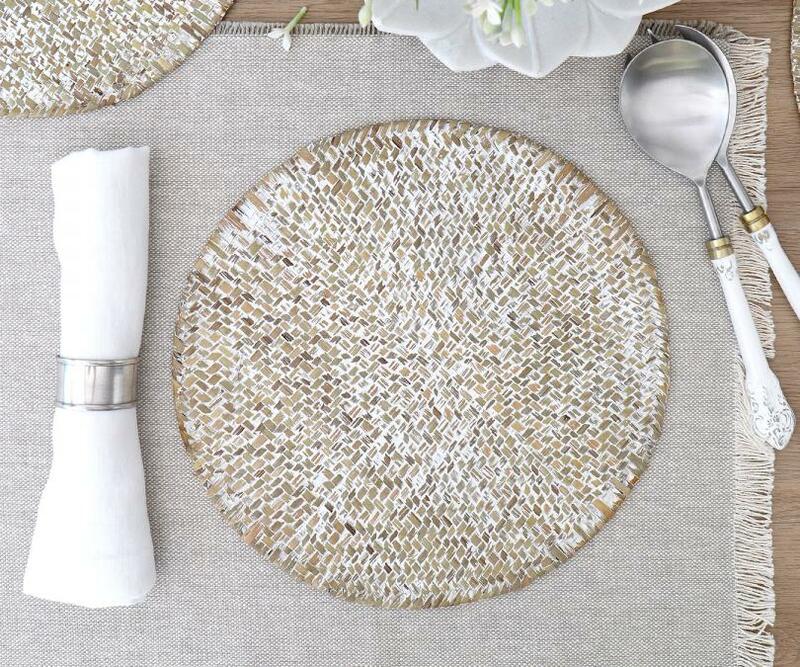 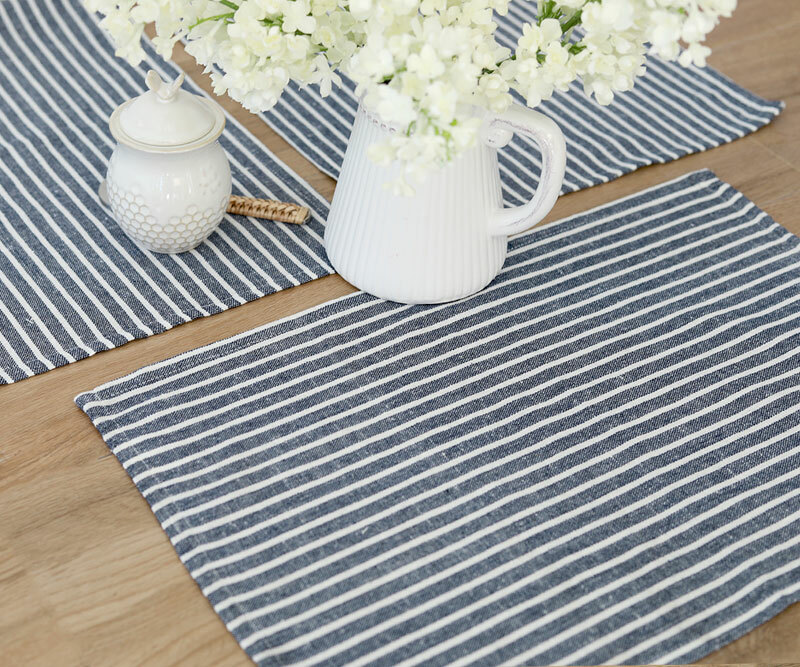 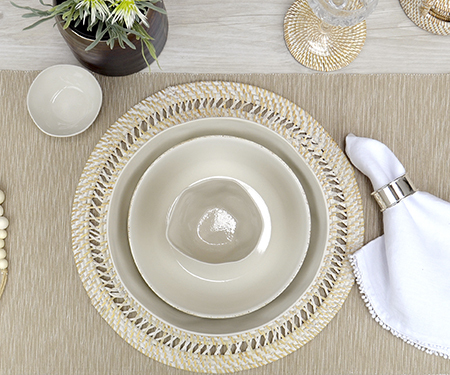 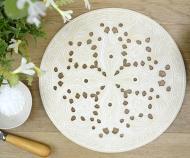 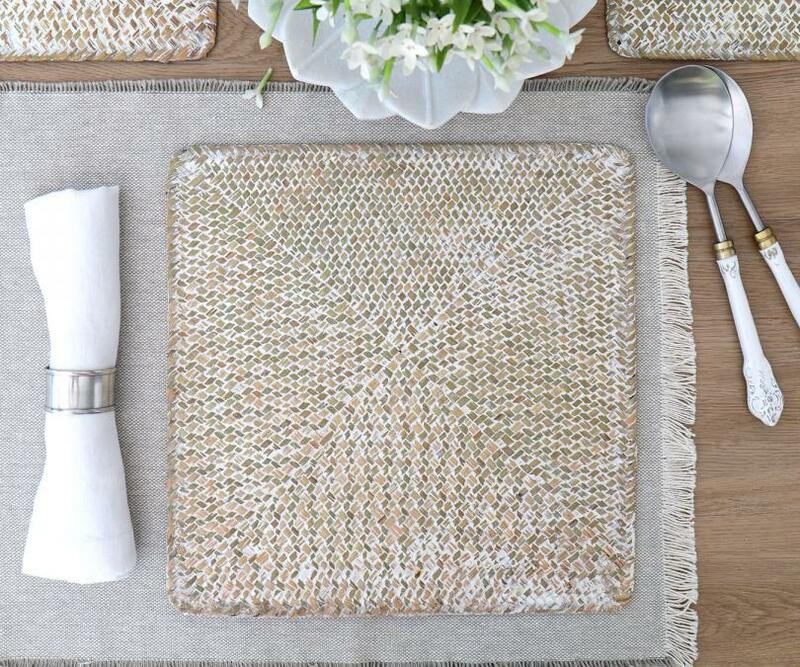 This is a set of 4 round placemats in a cream colour with a light whitewash finish. 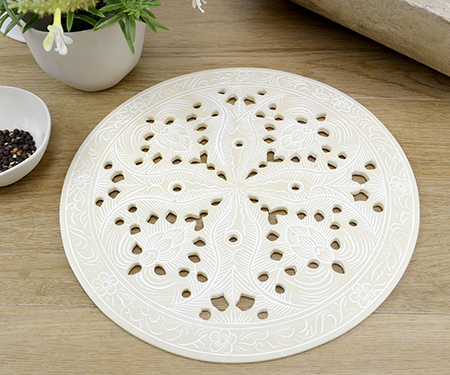 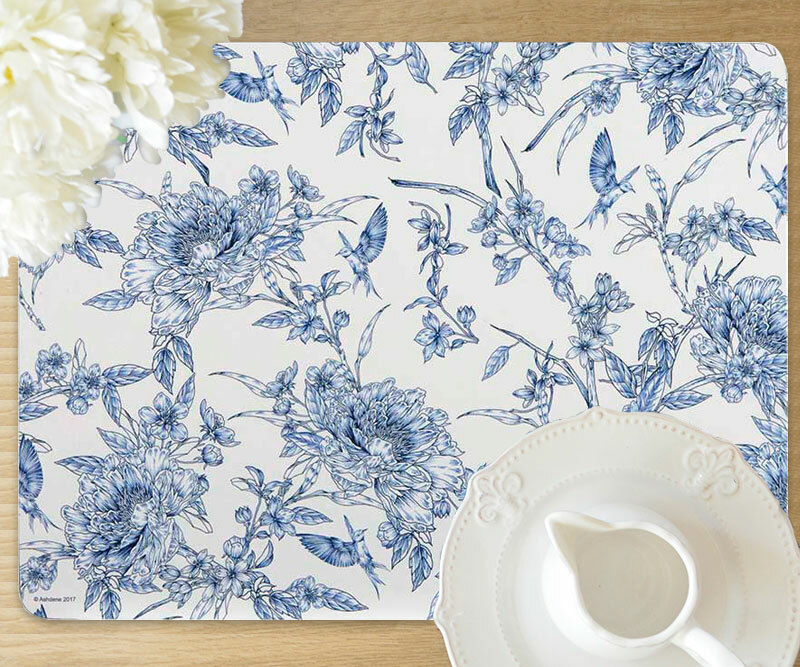 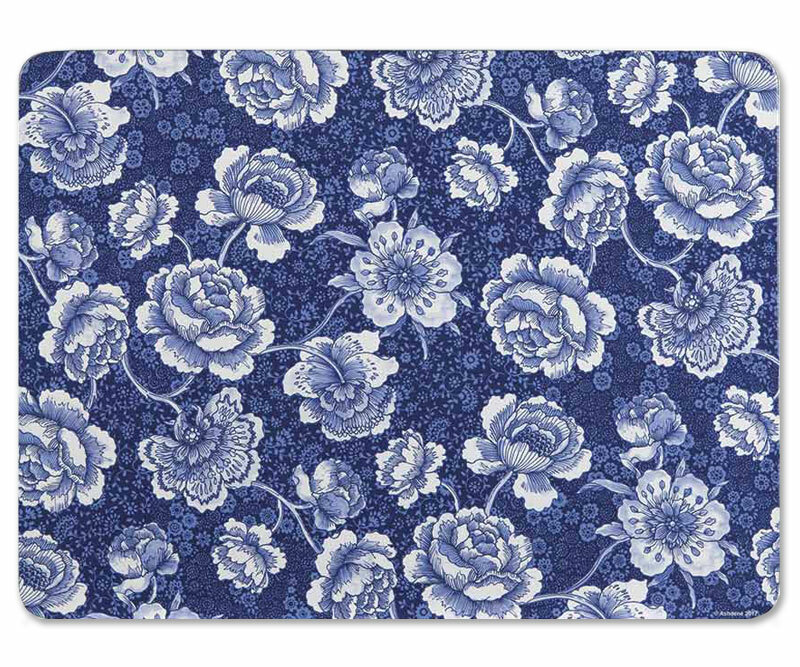 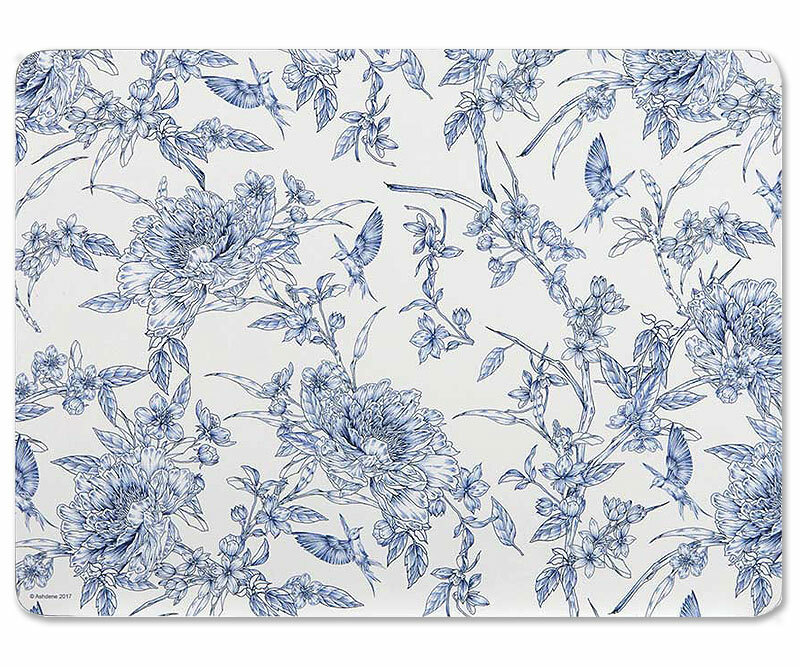 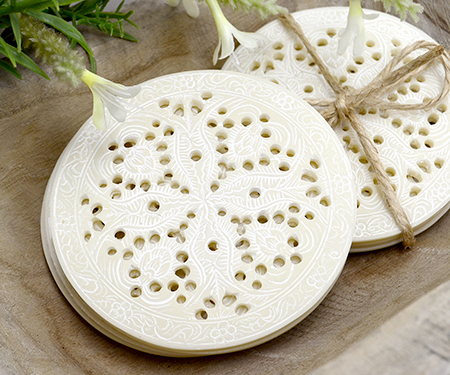 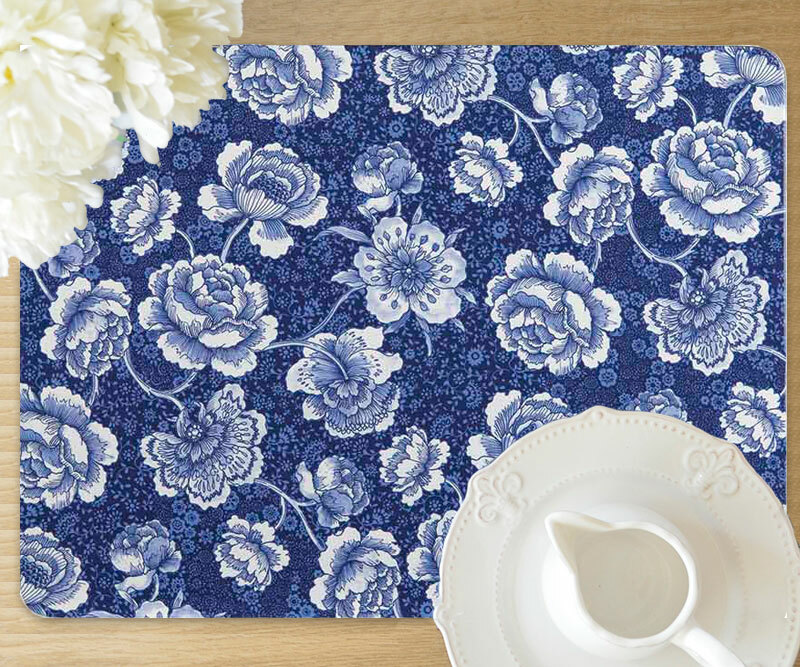 Made from resin, they are beautifully designed in a lace-like pattern. 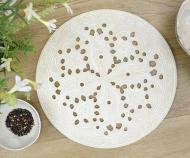 Each one measures 25cm in diameter.